When it comes to drinking water, some people prefer to just stay ignorant and see 'water' as water, but if you're a bit health-conscious you'll want to know better. I never understood that, the human body is made up of about two thirds of water and the quality of your daily intake matters a lot. Health experts recommend to take in at least 3-5 liters during the day, so it's an important part of what goes through your throat every day. Besides that, there can be distinct differences in taste and odor, so besides the health aspects of your water intake, it can be worthwhile to find out more about the best water for you just because it tastes better (although not everybody is able to distinguish that). 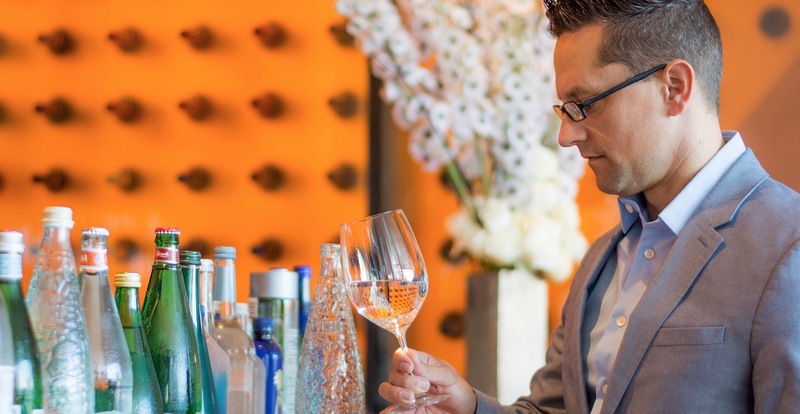 Martin Riese, the world's foremost water driking expert (water sommelier) would disagree with you that water is just water and it all tastes the same. He can distinguish the taste of many different kinds of water. Overall, chances you'll get sick from taking in the 'wrong' water are small, but if you stay in Thailand long-term it can be worthwhile to be aware of differences in water quality that you get from different sources, especially in Thailand. You may experience some effects to your health if you keep taking in water from certain sources on a long-term. Without becoming too technical, here's an overview of what you should know. 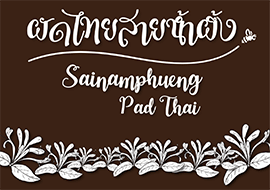 Unlike in many developed countries, tap water in Thailand is generally considered not potable as such, although you can safely brush your teeth and steam rice with it. Some local people boil tap water and cool it down to drink it later, but that's not recommendable. According to the Metropolitan Waterworks Authority (in Bangkok), tap water is in fact potable, but I wouldn't take the risk. Also, chlorine is added to the water before it enters your tap. Boiling the water may help to make the chlorine evaporate. Nevertheless, if you use tap water for cooking food, steaming rice and so on, you may experience a chlorine smell, so in that case you can consider using other kind of (cheap) water. In Chiang Mai, it's not clear whether tap water is treated in the same way, but I'd rather refrain from it. There is some unclarity about the existence or addition of fluoride to tap water in Thailand. According to our sources, fluoride is not added to tap water on purpose, but in certain areas, particular in the mountains, there is naturally more fluoride in the water than elsewhere. An excess of fluoride in the water can have detrimental effects on teeth especially during the phase of growth. Rubber rings inside water hoses in Thailand wear out every few years for mysterious reasons. 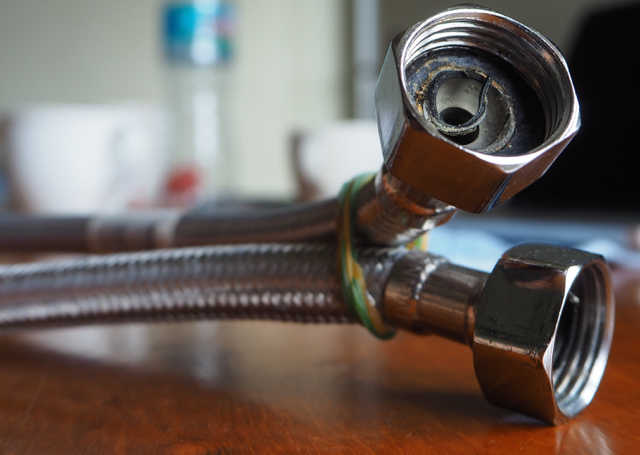 The rubber rings are locked inside where the hoses connect to water heaters, so what possible reason could there be for them to wear out over time? Some suggest it's because of chlorine and other pollutants in tap water. 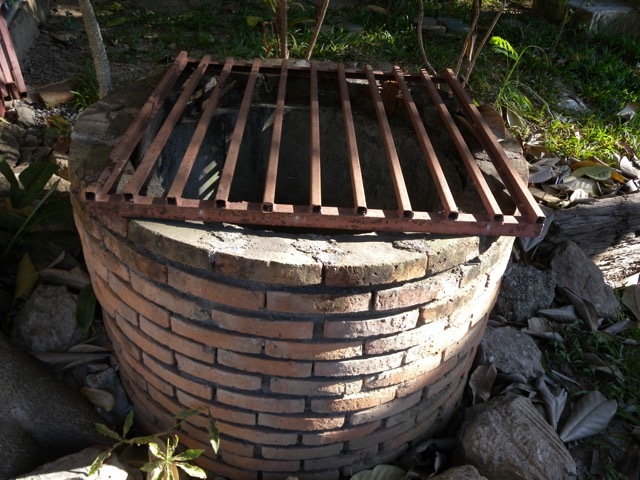 Some houses have access to a water well in the garden or so and some local Thai people simply boil the water to drink after cooling, but others only use to for other purposes but not drinking. Ground water can be fairly clean but then nobody is checking the quality so nothing is sure. If you stay in Thailand for a long time, it may be worth the investment to get one of the many filtration systems you can install to your water supply pipes, usually under the sink, to filter water to the extent that you can drink it. Filtration systems aren't cheap, but over time you'll save yourself the money and time going to the shop carrying large bottles of water. 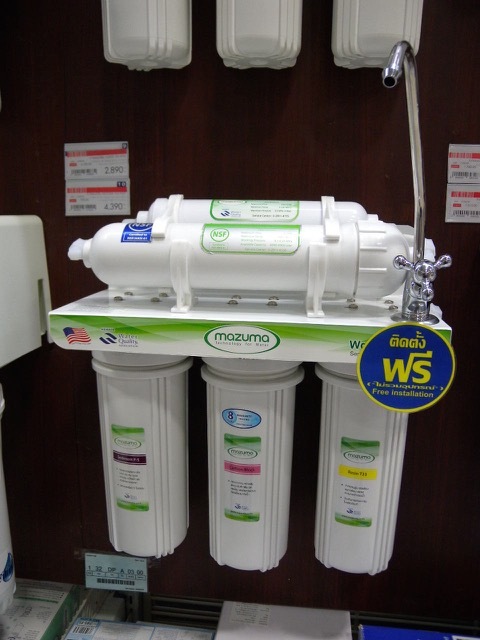 You can get a filtration system from a DIY store like Homepro from about 4,000-10,000 baht, it depends how many filter are included. Most filtration systems work with a combination of filters, for example carbon, sediment, omnipure and other filters. 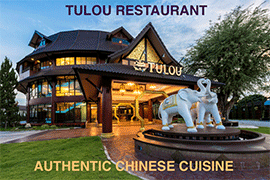 All types sold in Thailand are probably effective, clean and safe enough to use. They mostly work the same, the difference is more in the quality of the filters and membranes. The most important thing to remember about having your own filtration system in your house, is to replace the filters regularly. You can have a very expensive filtration system but if you don't replace the filters often enough, it becomes dangerous while you're thinking you're drinking healthy water. A cheaper filtration system with filters that you replace regularly is better than an expensive one with filters that haven't been replaced for a long time. I was told in the shop that if you leave for a holiday of more than 2 weeks, it's better to take the filter out and let them dry in the sun, else they might become a bit smelly and then it's recommendable to replace all filters, which would add an unnecessary amount of about 1,000-2,000 baht to your holiday costs. You can also get on-top-of-the-counter filtration systems such as eSpring / Amway, which are pretty good, but perhaps a bit expensive. Most filtration systems have about 3-5 filters, the foreign ones are more expensive and the Thai ones are cheaper. 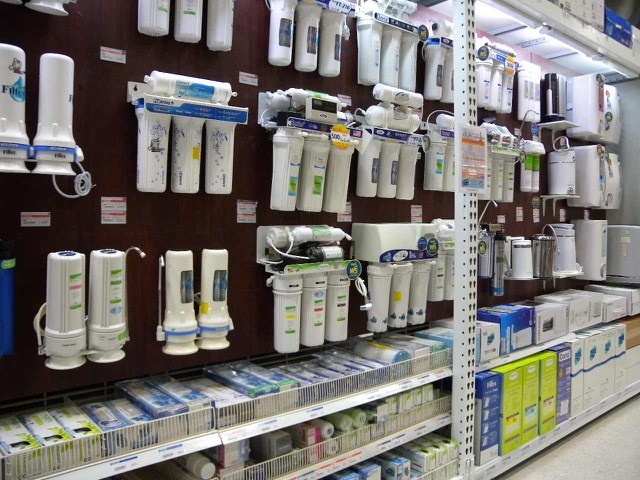 Various water filtration systems for sale in a DIY store in Thailand. Bottled water in Thailand comes in so many different brands and types, that at first you may be flabbergasted and not sure which one to choose in the shop, but after you distinguish them in different types it becomes easier to know more about the quality of the water and to make your own, conscious choice. The pity in Thailand is that producers are not obliged to show the exact source of the water, the exact ingredients and it's exact proportions and even when you call the call-center they are often reluctant or ignorant of such data. Most of the cheaper potable water available in the market works on the basis of reverse osmosis, in short RO water. Reverse Osmosis is a filtration process that retracts water through filters and purifies it to clean water. A reverse osmosis membrane will remove impurities and particles larger than .001 microns. This means that most common water pollutants will be rejected, but also most minerals which are good for the body. There is quite a bit of controversy about the adverse or beneficial effects of reverse osmosis water on our body. 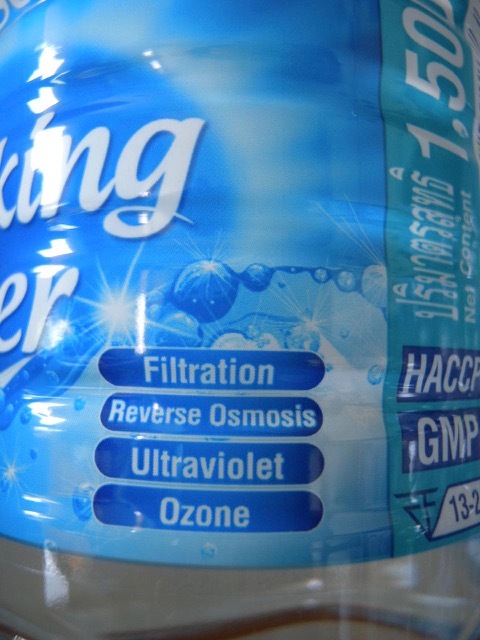 Just google the words "RO water" and Google already suggest the most clicked on search results, including "reverse osmosis water good or bad". Proponents of RO water claim that it is very clean, in fact cleaner than many other kinds of water (purification methods) because the water is (nearly) completely stripped of any minerals and so also of pollutants. And in fact, numerous people are taking RO water as their main water intake for years without any obvious health (related) problems. 3. RO does not filter all pollutants. ad 1. According to one source1 RO water is usually slightly acidic, with a pH between 3.0 (very acidic) and 7.0 (neutral) and it also suggests our water intake should be slightly alkalic. Now I don't know if this is true, I'm not a health expert, but I did a bit of research on this topic and found that even if RO water would be slightly acidic, that would not automatically mean that it makes the body acidic. The effect of intake on our body after the digestive process is measured as the so-called PRAL value3. A negative PRAL value means that something can add to the alkaline base of the body, a positive PRAL value that it can add to the acidic base of the body. An acidic body is considered not healthy. Mind you, eating certain sour stuff does not mean it will automatically make your body acid! Lemons, for example, add to your alkalic base, this is all because of the digestion process. The PRAL value of water purified through reverse osmosis is similar to distilled water. Both are very close to 0 as they do not have any protein or minerals. Additionally, the pH of the water is near 7.0 (6.8-7.2). So according to my info, RO water is nearly pH neutral and does not make the body acidic. From the PRAL value lists you can see however, that mineral water has slightly negative PRAL values, while soda water can have a positive PRAL value, much like many softdrinks. So there is quite a difference between different kinds of water. ad 2. As for the other acclaimed downside of RO water, that it is void of minerals, if you get enough minerals from daily intake of food, the lack of minerals in RO water should not be a problem. But in extreme cases, for example if you were fastening or going on a hunger strike drinking only RO water, I think there is. Also, if you are doing sports or going on long bicycle rides, RO water won't lessen your thirst because there are no electrolytes no nothing in it. ad 3. Finally, that some less advanced RO filtration methods do not manage to clear the water of all pollutants (such as chlorine and pharmaceutical residue) might also be the case of other less advanced purification methods. So overall, I am not sure if there is a scientific base proving that RO water is not healthy for human intake. A seemingly rather serious study by the WHO2 suggests, however, that there are serious health risks related to drinking RO water so that can make you start thinking. What is probably safe to conclude is that there is some controversy about the health effects of RO water on our body. In the end, everyone has to make his/her own choice about what to believe. Personally I'm "moderately suspicious" of RO water because of this controversy and because of my personal perhaps holistic or "Asian health perspective". I don't pretend any scientific base for this, so you can disregard this part if you want to. From my perspective, RO water is very unnatural, in nature there is no such water and by using special chemical techniques to extract one substance from another, the result is an 'unbalanced mix of elements' that therefore unbalances the body. Extract refined sugar from sugar cane and it actually becomes harmful to the body, seen from a Chinese traditional health perspective. The substances that nature gives us are in perfect balance. In the case of for example coconut juice and wine, science knows that they have the same osmotic value as our blood and are therefore easy to absorb by our body. In the case of other substances there is also an energetic balance that science cannot prove yet, but that a lot of eastern approaches long have acknowledged, for example Chinese traditional nutritional science. For this reason, I believe that RO water is 'out of balance' and so imbalances the body as well. Up to you to believe it or not and to make your own choices. Many Thai people I know don't drink RO water if they can afford to buy other types, saying that they don't trust RO water or the companies that deliver it. RO water is definitely the cheapest source of drinking water and usually you find them near markets, on streets, or at Thai style apartment buildings. In my experience, most things that are cheap(-est) are usually not of the best quality, but for you to judge on this. Whatever your opinion about RO water in Thailand, the truth is: you can't avoid it. Whenever you go out for a dinner and ask for some water, chances are very high that you get it because it's the cheapest kind of drinking water (after boiling tap water and cooling it down). 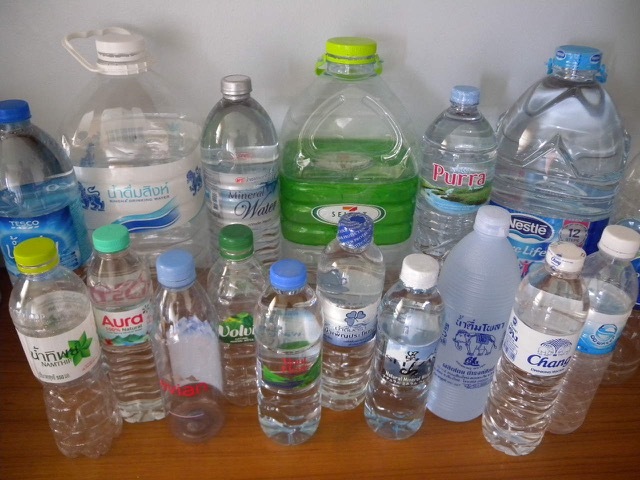 Most of the plastic milky bottles and some of the clear plastic bottles contain RO water. There are also companies that deliver bottled water to your doorstep, such as Dewdrop, which again is RO water. 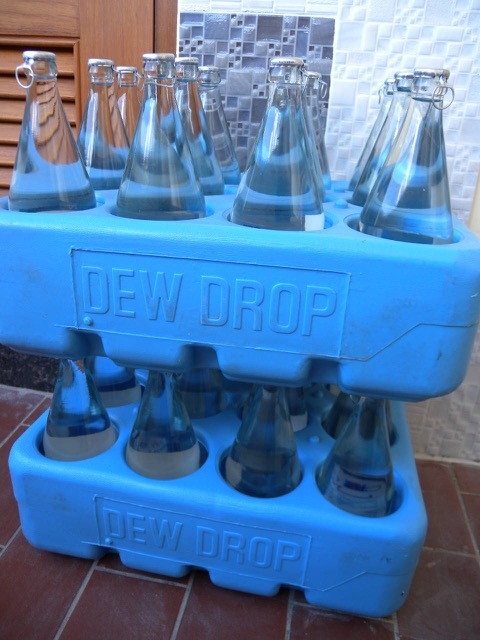 Dewdrop delivers water in Chiang Mai area in crates of glass or plastic bottles (12 pieces per crate) as well as in big plastic containers (20 liter). The downside of Dewdrop is that often bottles are not thoroughly cleaned, dirt residue remains on the heads of the bottles so if you just use it for drinking this may create a problem. If you boil the water for tea or cooking, it's probably okay. UV is a type of radation we experience every day in the sunlight, in water treatment special lamps are used. UV treatment is an effective way to kill most of the harmful micro-organisms in water without using any chemicals. As such, it is environmentally friendly and "better" than chlorine-treated water. Also, UV treatment does not affect the taste or smell of water. UV treatment is usually an additional treatment after filtration, because the water most be adequately filtered from particles larger than 5 microns so that bacteria cannot shield behind such particles and remain alive during the UV treatment. Ozone treatment is another, usually additional treatment done to kill all kinds of micro-organisms that remain in the water. There are few disadvantages to this purification method and it doesn't affect smell or taste of the water. Besides the various kinds of water purified by men, there are several sources of spring or mineral water in Thailand, notably in the North of Thailand (for example from Maerim area). Aura, Mineré, Mont Fleur, Aro and Seizan are examples of mineral water from the North (in particular from Maerim, Tak and Chang Dao). Mineral water is good for the body when the proportion of minerals is within certain ranges. Unfortunately, in Thailand, it's not always clear what are the contents and proportions of locally bottled mineral water, because it's not always on the bottle. Some argue that mineral water in Thailand contains too much fluoride, but generally it's within internationally recognized ranges. Questions regarding the health effects of fluor in water may have started internationally since the so-called 'water fluoridation controversy'. Other purification methods, such as distillation and subsequent addition of minerals ("mineralised water") that you find in other Southeast Asian countries are not popular in Thailand. Most bottled water you find in the shop that is not mineral water is often purified by a combination of RO and UV and/or ozone treatment. 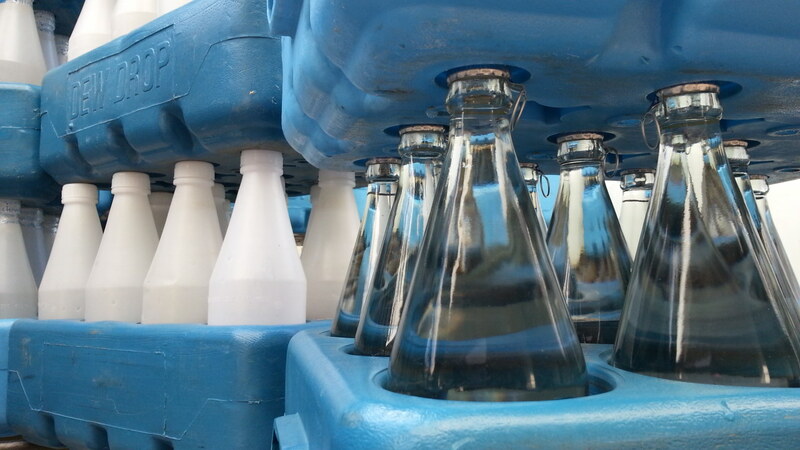 The 'milky' plastic bottles (often sold in a six-pack) are usually only RO treated. 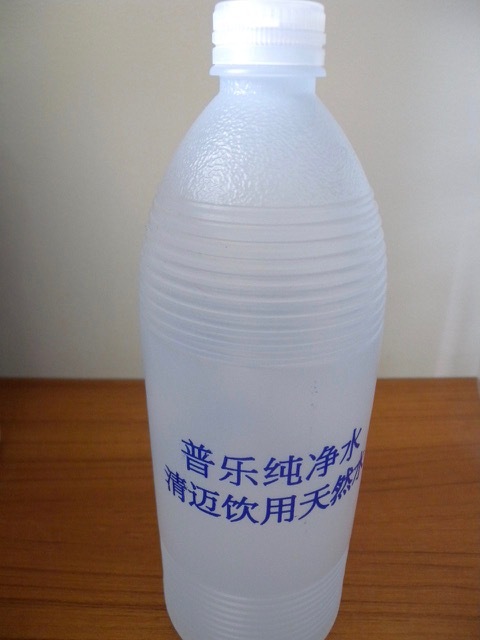 Most of the transparent plastic bottles are usually treated with purification methods other than RO, hence they are a bit more expensive, some glass bottles are RO water. The cheapest way to get RO filtered water is to use the water dispensers on the street, they supply 15-20 liter of water at only 10 baht or so. Compare that to about 36-40 baht for a 5-liter of Singha water and you can calculate the water dispensers on the street can be up to 8x cheaper (!). But there's no free lunch, not even in Thailand, and the general rule is that what-you-pay-is-what-you-get: the companies that run water dispensers on the street basically connect a water supply line to a RO filtration system so at most what you get is RO water. It's said that these companies are often late to replace filters, so then the water can become unsafe. According to a recent report by the Bangkok Post, Nov 2015, more than 50% (!) of the water dispensers provides unsafe water, mainly because filters are overdue. 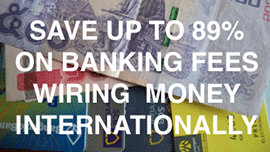 you're taking some risk to save a few baht on water. The big bottled water companies (except for Dewdrop) have large water purification facilities instead of separate filtration systems everywhere and are more likely to stick to a good standard, so you'll run much less risk with them. Some foreigners have discovered such cheap water dispensers on the street and are proud enough to make Youtubes of it, as if even the NSA couldn't figure out where they are and how they work. Getting water from a street water dispenser is about the cheap source of water in Thailand. There is some controversy about the health benefits of RO water, though, and with street dispensers you risk that the filters have not been changed in time. While most purification treatments are the same, there are some distinct differences between different brands of drinking water in Thailand. Several of the big brands, such as Chang and Singha drinking water probably started to produce drinking water only because they were not allowed to advertise their prime product, beer, on TV on a large scale. By outbranching into water, besides beer, they could enlarge their advertising presence, and in fact sell more beer. These companies are so large, though, and have good purification equipment, so water from these brands is as safe as it can be in Thailand. Many 'local' brands are in fact (co-)owned or managed by large international companies, such as Nestle and Coca Cola. Using fancy French names, such as Mont Fleur, suggest that the product is imported, but in fact it's locally produced in Thailand, but then monitoring and certification is by international standards, which is probably a good thing. 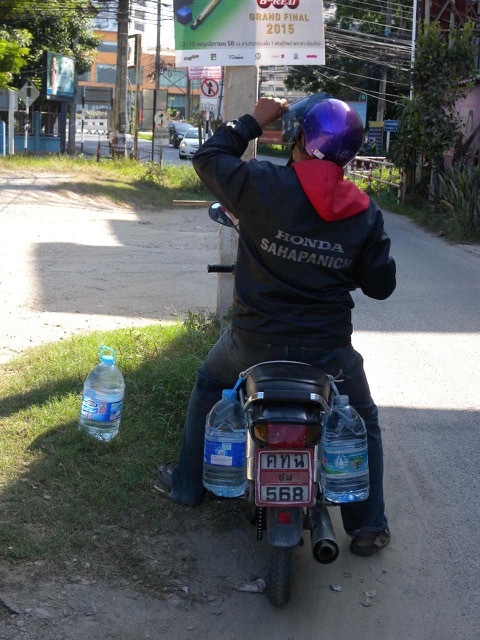 Some local water in Thailand is certified by national standards. Also, brands both sell directly under their own name as well as indirectly under another name, for marketing purposes. For example, Purra mineral water is by Singha and Namthip is by Coca Cola. I've always noticed that Singha water tastes more sweet than other water and moreover it leaves no calcium stain in your kettle after you boil water with it. So I called the call center to ask why. Apparently, Singha water contains all 'normal' minerals you find in mineral water, however the factory takes out those minerals that leave calcium stain (such as Ca). Because the water lacks the 'normal' balance of minerals, it can make the taste seem more sweet. This makes Singha suitable for boiling water for tea, if you're a tea lover, for example, and you don't want do clean your kettle all the time. Crystal tastes terrible to my tongue, while Aura and Minera taste okay. Dewdrop delivers and recycles bottles of water in crates (and large plastic containers) in many condominiums and apartments in Chiang Mai. Some customers report that the bottles aren't really clean after recycling, though. Glacier is a company that delivers water in plastic milky bottles in much the same way as Dewdrop does. 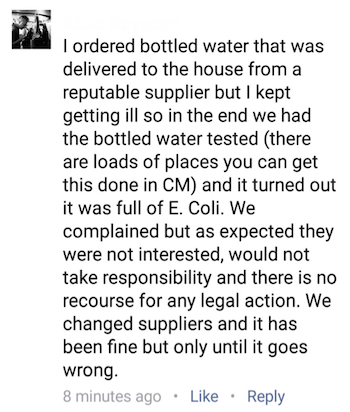 Members of CML report that the bottles are fairly clean. Most likely, the water in these bottles is also only RO water. 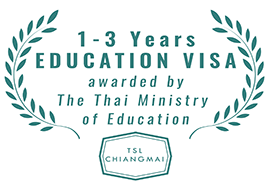 Crystal (www.crystal.co.th, call center 026 933333) prouds itself of being the first and only Thai company to have received the US-based NSF certification (National Sanitation Foundation) since 2002. It has also won the national FDA (Food & Drug Administration) awards for the maximum of three consequetive years. The call center confirmed that this is RO water which is additionally treated with UV. So perhaps this company has high standards in cleaning the water, but in the end it's RO water. Aura is mineral water is bottled from a cold spring in Maerim by Tipco, just north of Chiang Mai. 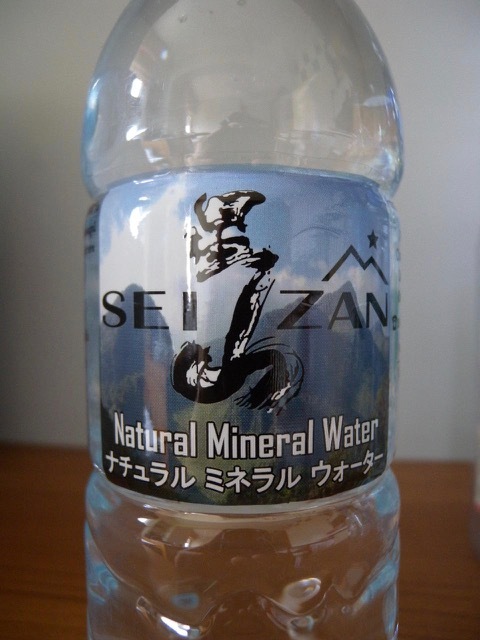 If you're an anti-globalist or you're simply against food moving around the world, this is the brand you should choose to drink mineral water. I find this water to taste slightly strong, so I prefer not to drink only Aura but vary my intake with Minéré (by Nestle), which I find milder in taste, and which is also bottled in Thailand, in Pho Sam Thon near Ayutthaya. Imported water is obviously relatively expensive in Thailand. Some brands which are not bottled here, but really imported are: Evian, Volvic, San Peregrino etc. Several other brands are actually a division of a large international food or beverage company such as Nestle or the Coca-Cola company. Namthip, for example, is by the Coca-Cola company (and is sold in bottles under high internal pressure, suggesting a hard plastic bottle which actually becomes very weak after you open the lid, which I find deceptive). You can feel safe that the water quality is monitored properly, but it doesn't guarantee a good taste or a high quality water content. 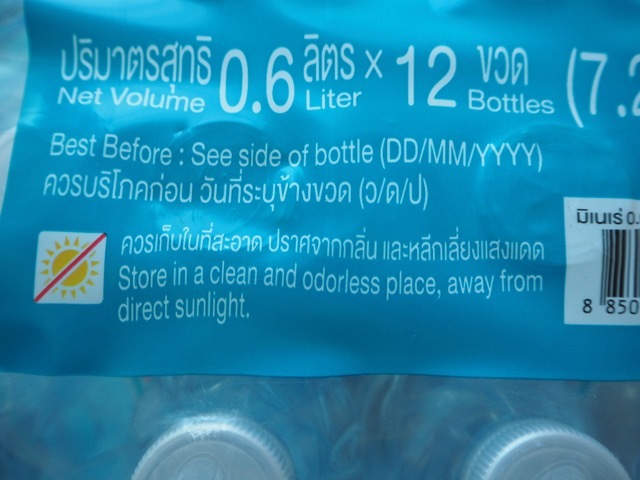 avoid to buy plastic water bottles from shops that allow their stock to be exposed to the sun, rather go inside and pick the bottles which are not exposed to the sun. ice blocks you get in the restaurants that are put in your drink may or may not be retrieved from a reliable water source. If the shop froze ice blocks in their own freezer from tap water, this is less good. always use a new bottle or clean your bottle or container regularly, germs multiply very fast in hot climate. While most drinking water in Thailand is probably safe, it's hard to prove that you got a 'food poisoning' from taking in the wrong type of water. If you're concerned with your health on the long term, it's recommendable to use better quality sources of water. In general, in my opinion, clear plastic bottles are better than milky plastic ones, and the more purification methods used, the better. Mineral water is good as long as the contents of minerals remains within certain ranges. Spread the risk of taking a lower quality type of water for too long, by switching brands regularly and take at least some mineral water as water intake away from meals. Since RO water is widespread in restaurants, you'll drink this a lot anyway when you're eating out, so if you want to diversify your water intake, drink mineral water at home. Investing in your own filtration system makes sense when you stay long term, but you've got to replace filters often enough. If you're not sure, better rely on the big producers of water. Did we leave out something, is something incorrect or do you have something to remark on this article? Share it here as a comment. Very Good for your data. Do you have any information on the use of portable water systems like Grayl personal filter that uses charcoal filters, i.e. for filtering tap water? What an interesting but disturbing article. I have been based in Chiang Mai for over 10 years, and my main water intake is boiled (for hot drinks) or frozen (for ice) tap water, otherwise I consume delivered 'PoleStar' water in plastic bottles. I have not generally suffered from stomach problems over these many years. Do I change what appears to work OK for me? Also, I was disturbed to see that many of the comments after the article seemed negative on fluoride content, whereas I'd just been reading other articles about how good it is, for example added to tape water in USA and Europe. As I said, a very interesting and informative article ............. but how to act upon it! Article on water very interesting. I don't like the taste of any plain water even in Western countries. IN CM only use filtered water from street to clean my teeth. All other water use is boiled as with cooking and making coffe. Tap water I only use for cleaning. Glad to see that you mentioned the risk of using cheap water dispensers to get drinking water. The ones is Bangkok are not safe! A couple of years ago a survey was done by a subcommittee of the private sector; 'Independent Organization for Consumers Protection'. 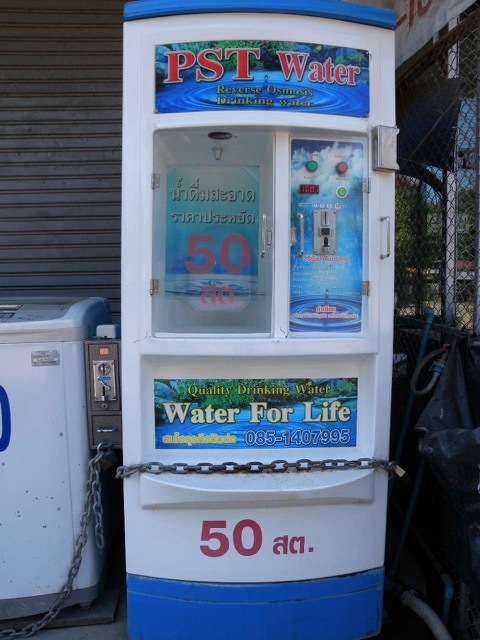 They took water samples from a total of 855 coin operated drinking water vending machines in Bangkok for testing. This is what was found. - 76.3% of Bangkok drinking water vending machines were installed at inappropriate places, such as at places covered by dust from traffic and smoke from exhaust pipes of motor vehicles. The rest was installed near garbage bins and waste water ditches. - 55.2% of Bangkok drinking water vending machines had unclean bodies, 42.9% had unclean valves, 29.4% were rusted, 21.1% were corroded, and 11.2% leaked. - 93.8% of Bangkok drinking water vending machines used tap water to produce drinking water, and only 43.3% of vending machines were given once-a-month cleaning. Their conclusion was that drinking water from vending machines in Bangkok is unsafe for drinking! Check out a video that I did on the subject of; 'Is Bangkok tap water safe to drink? ', which includes details on the above, and quite a bit more. I will also add my 2 cents that if you really want to get on top of thyroid problems that can be caused or at least made worse by fluoride, I found that following Dr. David Brownstein on youtube and following his iodine protocol it has worked wonders for me when I was diagnosed with thyroid problems. The main issue with fluoride and thyroid is that it competes with the nutient that it actually needs, iodine to which is the main buiding block needed to make thyroid homrone. I have an old copy of the 8th edition of the Merk Index, An Encylopedia of Chemicals & Drugs from 1968. It clearly mentions under sodium fluoride that is was previously used as a medicaion to lower thyroid function. It also lists under Human Toxicity: Severe symptoms from ingestion of 0.25 to 0.45 g. Death from 4 g. If you take iodine (in the milligram ammounts like the average Japanese has done for generations (as they eat Miso soup with almost every meal and lots of seafood) the research shows by Dr Brownstien and others like his mentor Professor of Enochrinology Guy Abraham that it causes the body to excrete fluoride and also the other toxic halogen, bromide which also competes with iodine. They also found that they it caused their bodies to excrete stores of heavy metals such as mercury, lead and cadmium. I was diagnosed hyperthyroid but after doing their 24hr iodine loading test and thyroflex (muscle reflex test) I was shown to be much more severly iodine deficient than most people (vegetarian and not eating seaweed regularly or fish) they found out I was low thyroid function (hypo-thyroid NOT hyper-thyroid). I had the symptoms of low thyroid too. I also had a tiny 3mm nodule on thyroid ultrasound. It was hard becuase I had to go against conventonal doctors/endocrinologists who tried to scare me saying iodine is bad and would just make my condition worse, and if my thyroid condition got worse the main line treatments were to have my thyroid blasted with radioactive iodine 131 (the same exact same radiactive isotope that the survivers of Chenobyl disaster were warned to avoid at all costs and hence they they were given approx 120mg of potassium iodide daily from the government for 3 months until the radioactive iodine was 99% gone. This was to so they would take up the needed iodine and not the radioactive iodine into their body that damages that does damage. Now 20 years later it's shown the surrounding areas that did not take potassium iodide directly after Chenobyl disaster, many of them have damaged thyroid glands and thyroid cancer from the radioactive iodine131 fallout. Another great one is by Dr Sherry Tenpenny. "FLUORIDE CONTENT OF COMMERCIALLY AVAILABLE BOTTLED DRINKING WATER IN BANGKOK, THAILAND" by Praphasri Rirattanapong and Opas Rirattanapong. Aquafina, Home Freshmart, My Choice and Polaris where the lowest of the bunch with only 0.01mg fluoride per litre. Returned from Thailand, Cambodia, Vietnam this morning .. we have both had issues immediately after drinking bottled water. Very embarrassing. Takes a lot of the "SHINE" off living long term in CM..........Good quality drinking water is absolutely necessary "Living Long Term" ANYWHERE ! I have always used bottled water for drinking. Once, I ran out of bottled water and boiled tap water here in Samsenook, Huai kwang Bangkok I became sick for 4 days, I started buying large bottle water delivery from Sprinkle, 65 Baht for a 18.9 liter bottle, but apparently the delivery person did not care to take the elevator to the 8th floor for 3 bottles of water every 2 or 3 weeks. I am switching to Chang. I need to buy potable water in bulk for my house, no water available yet, in Chaing Mai....about 1000 to 1500 liters per delivery. 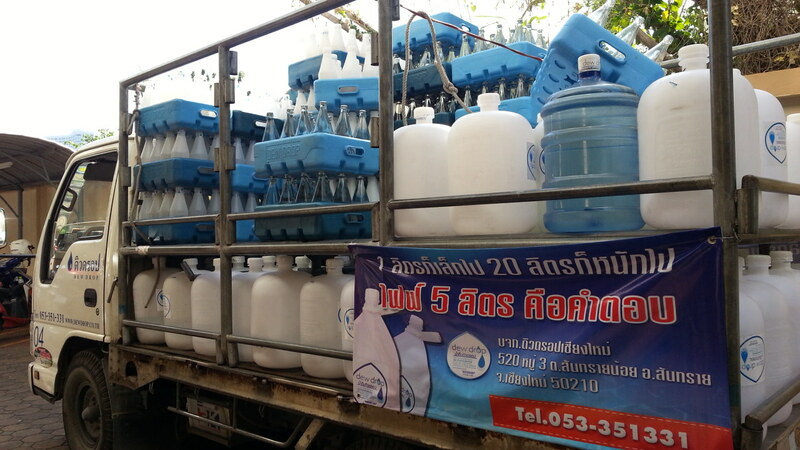 Who does Clean bulk delivery of water in Chaing Mai ? Fluoride, before they added it to water, it was rat poison? I find it difficult to except the thought of this in my water, and they even don´t need to tell us! What about fluoridation like in US, as there are no info on bottles? I'd just add one thing--Chiang Mai water is flouridated but they won't tell you how much they put in. And by law, bottled water companies are allowed to add flouride to their water and not put that on the label. Funny to see this article because after 3 years of using those roadside machines I finally stopped. In fact one you pictured is one I regularly used too. Seemed odd to me as we use the same places to eat & do most of our own cooking too. Well it has been a few months now & I no longer get sick. We still eat at the same lunch spots & some nights out same places but I don't know what else to say except it does in fact seem I was getting sick from it or De-mineralized as you said? In any case yes 2 bottles costs 80 baht instead of 7 baht but also as you say water....good water is very important to our bodies. Thanks for the article! What about GLACIER brand delivery water? Very similar to Dew Drop, delivered in glass bottles! Bottles are always clean, water tastes great. I'm one of these "cheap" foreigners who use the road side dispensers ans have been since the Bangkok floods of 2011 saw all bottled water disappear from local shelves. My wife and I have never been ill and it is a matter of common sense. If the machine is well maintained I use it. If it is battered or dirty, I avoid it. Thank you for this important article .. Since 2003 I`m in Thailand every year but did not knew about all the different kinds of drinking water.